David Yurman bracelet from the Pure Form Collection. 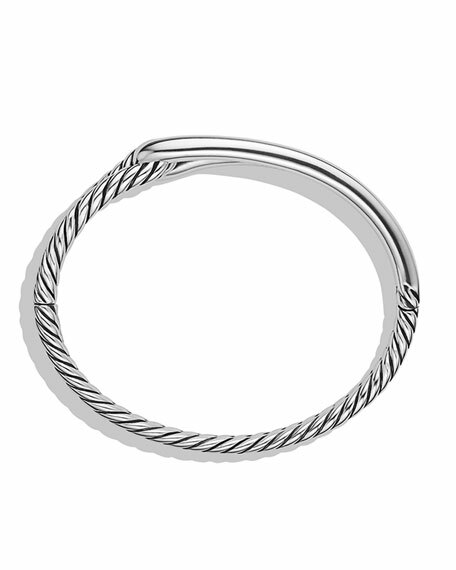 Smooth sterling silver with twisted back. Tapered frame, approx. 0.7"H (17mm). Hidden hinge opening. Imported. 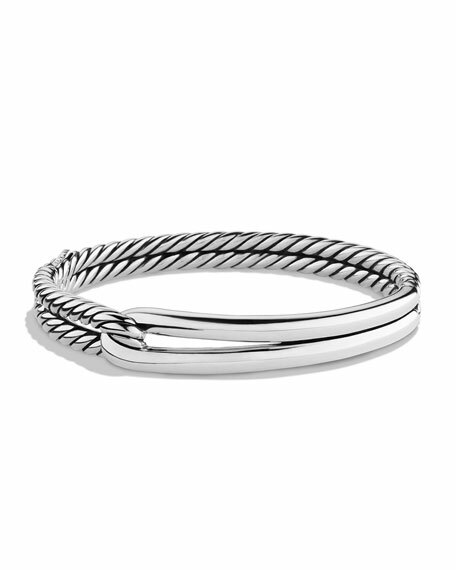 David Yurman bracelet from the Pure Form Collection. Smooth and twisted sterling silver. Four-row silhouette. Split back for slip-on style. David Yurman bracelet from the Pure Form Collection. Smooth and twisted sterling silver. Four-row silhouette. Split back for slip-on style. Approx. 1.7"H (42mm). Imported.